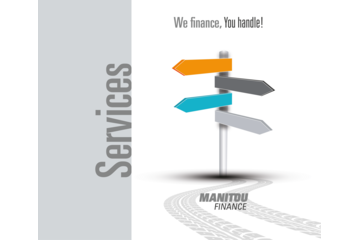 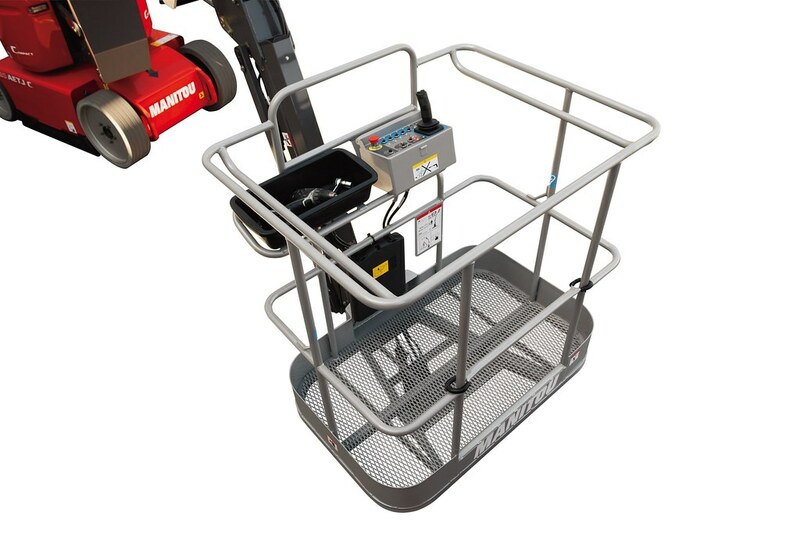 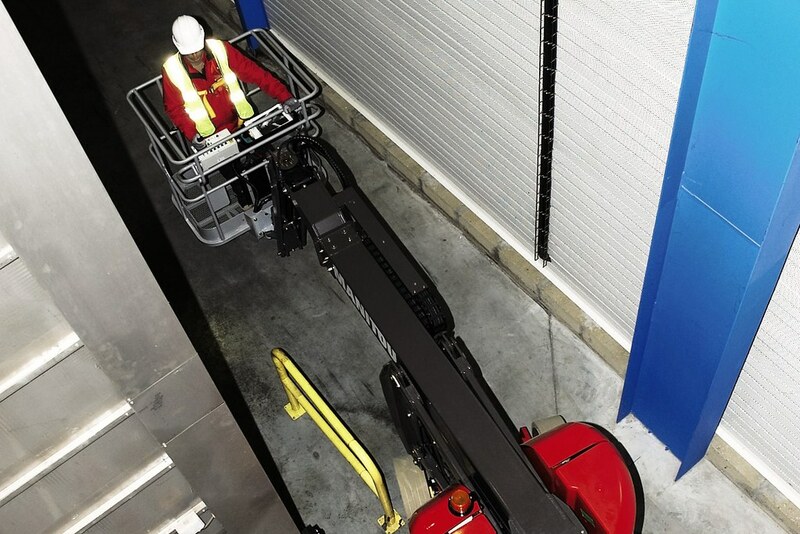 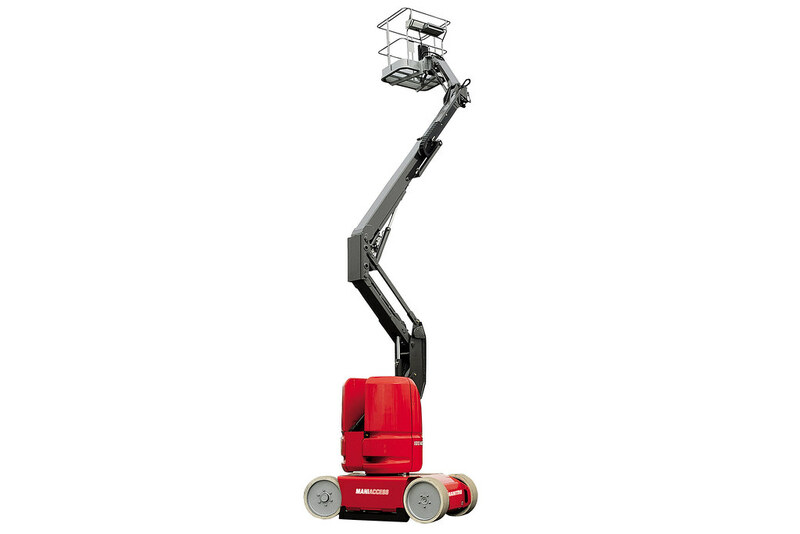 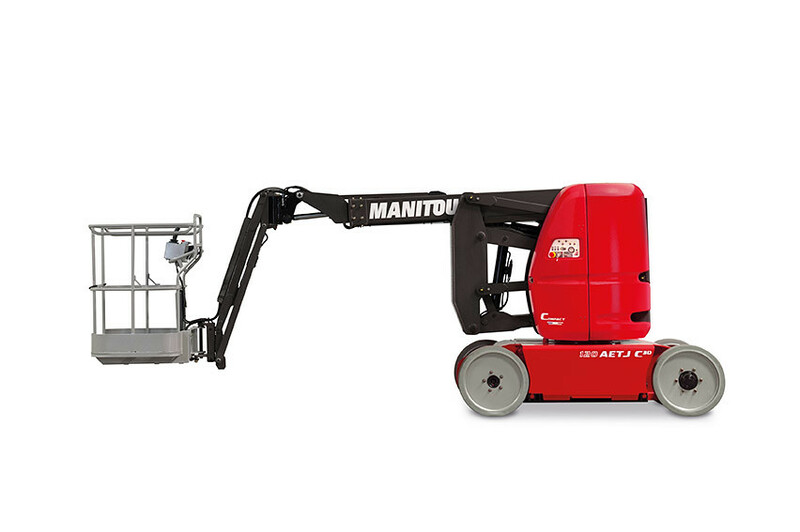 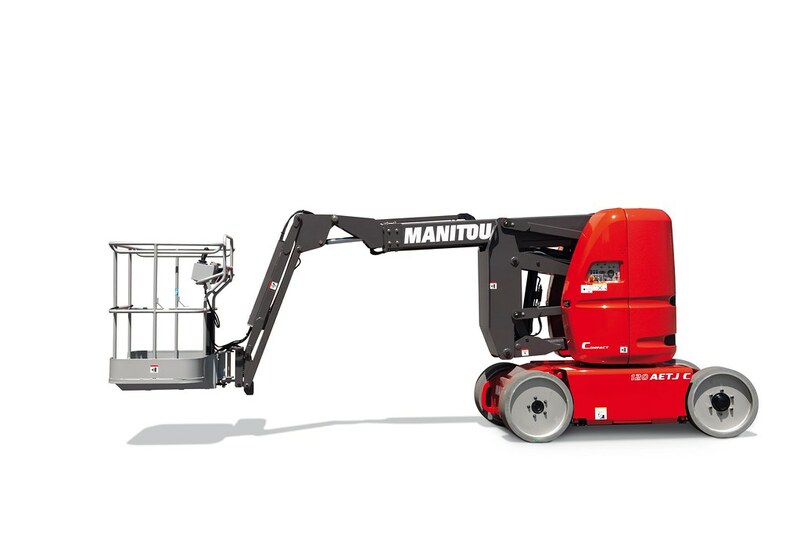 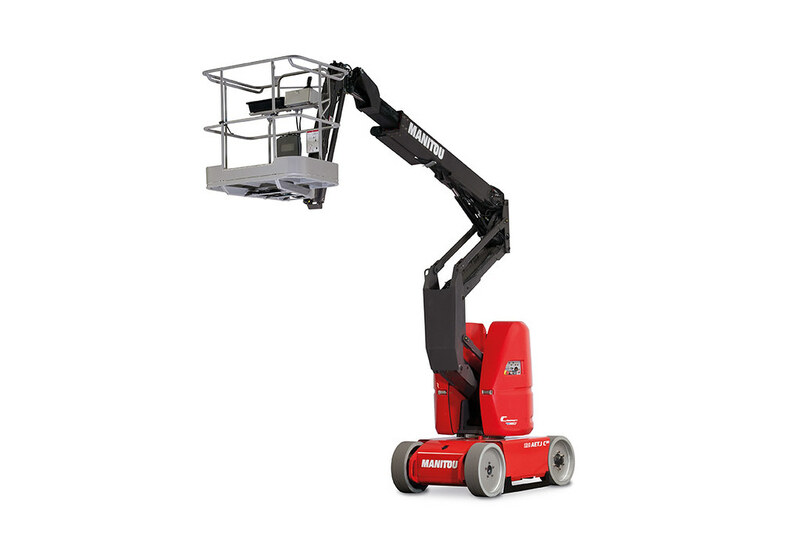 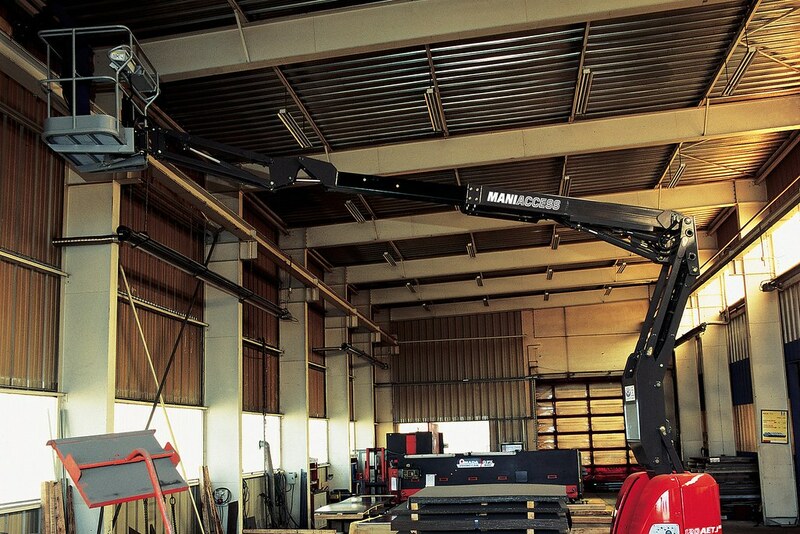 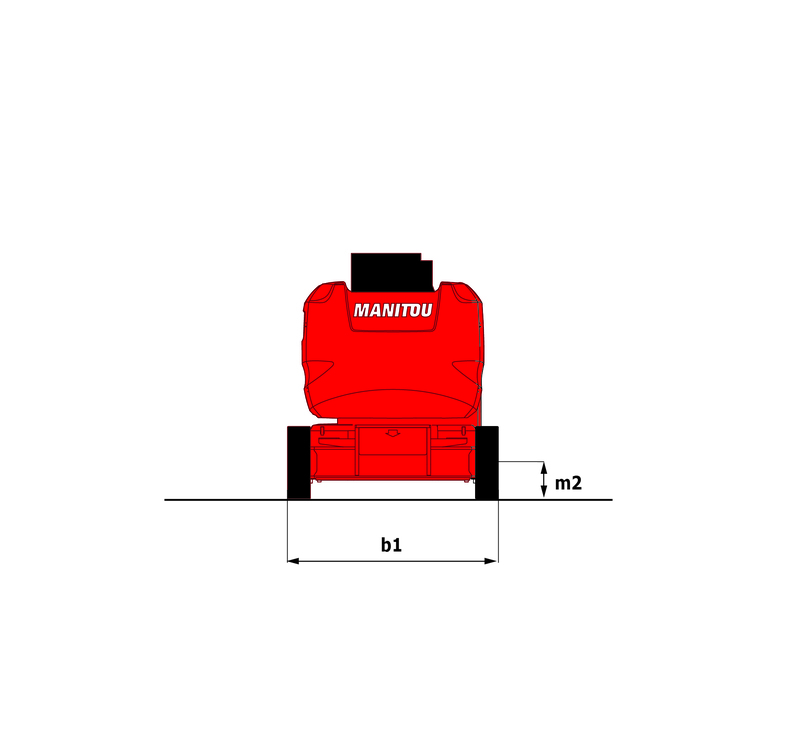 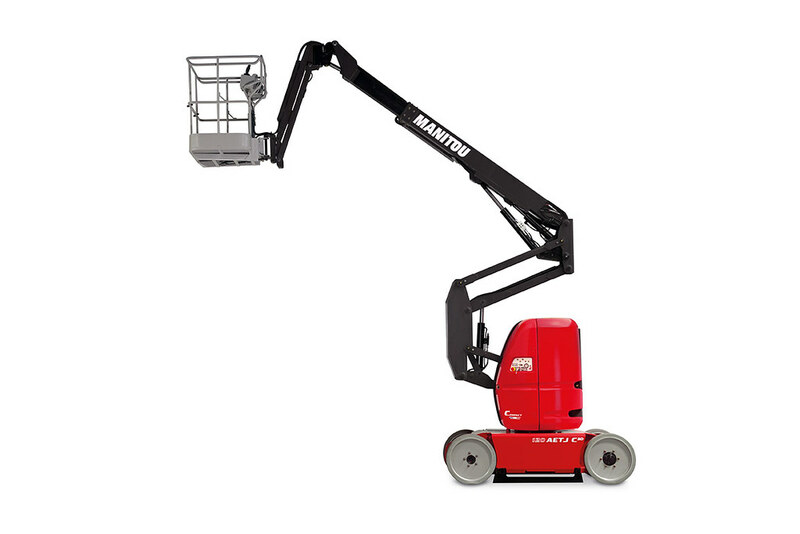 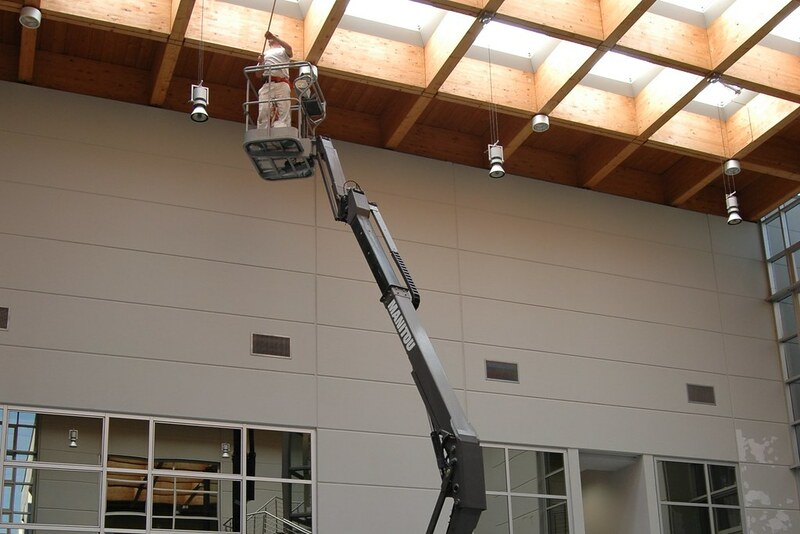 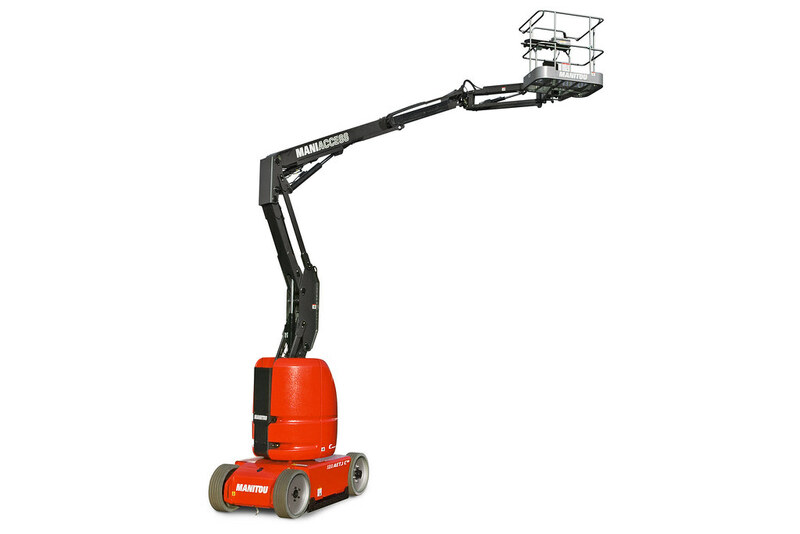 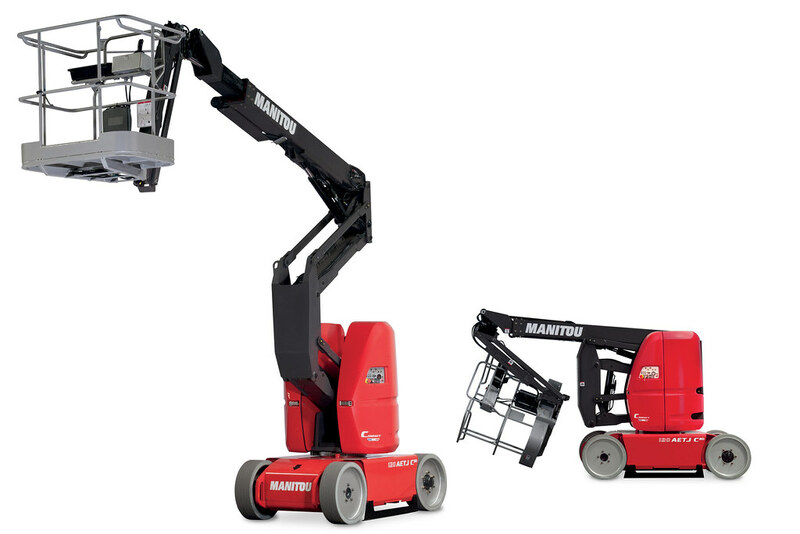 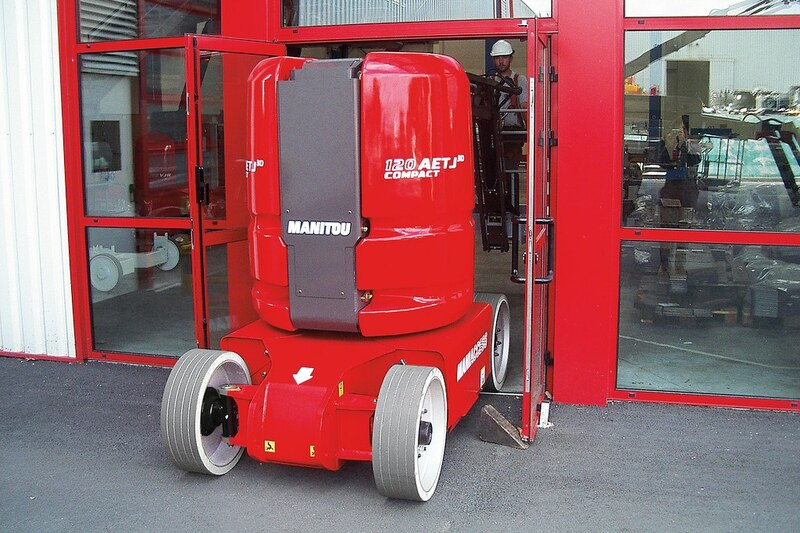 The Manitou 120 AETJ-C articulated electric platform has a capacity of 200 kg with a working height of up to 11.95 m. It meets all of your needs both inside and outside. 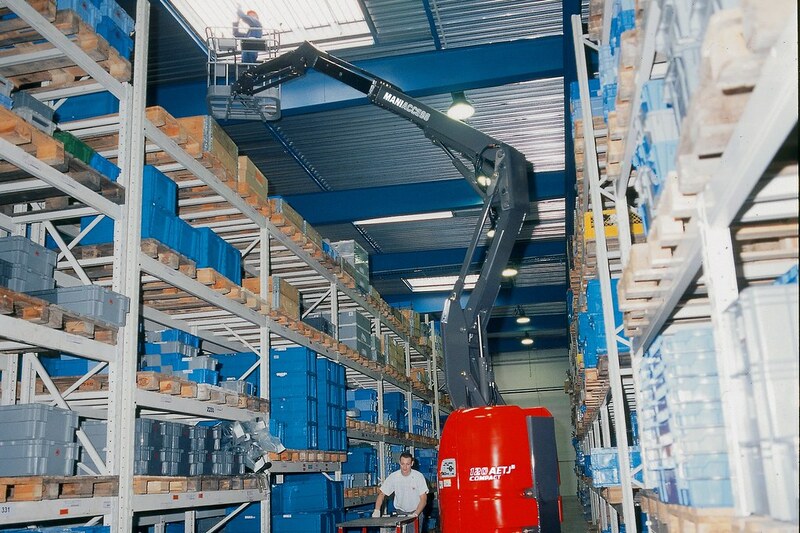 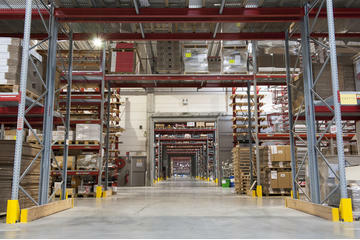 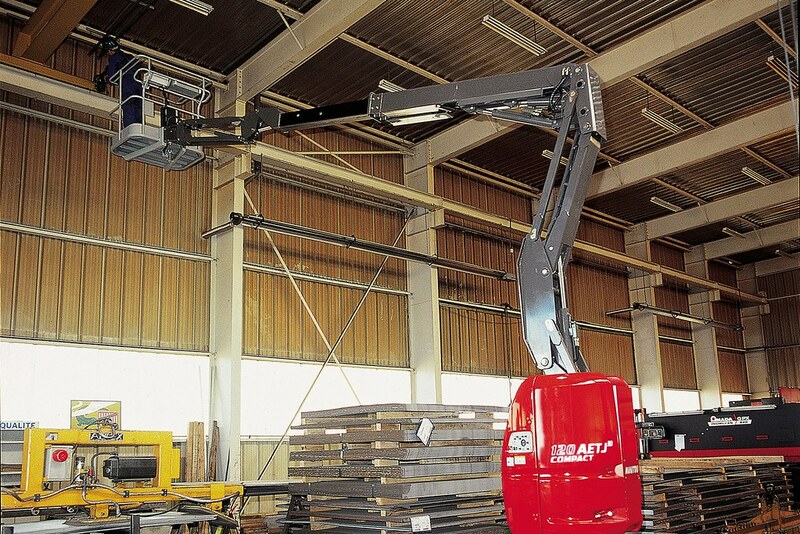 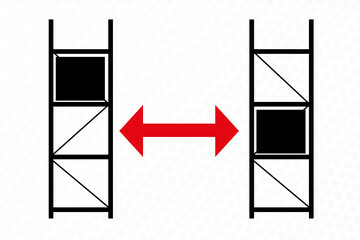 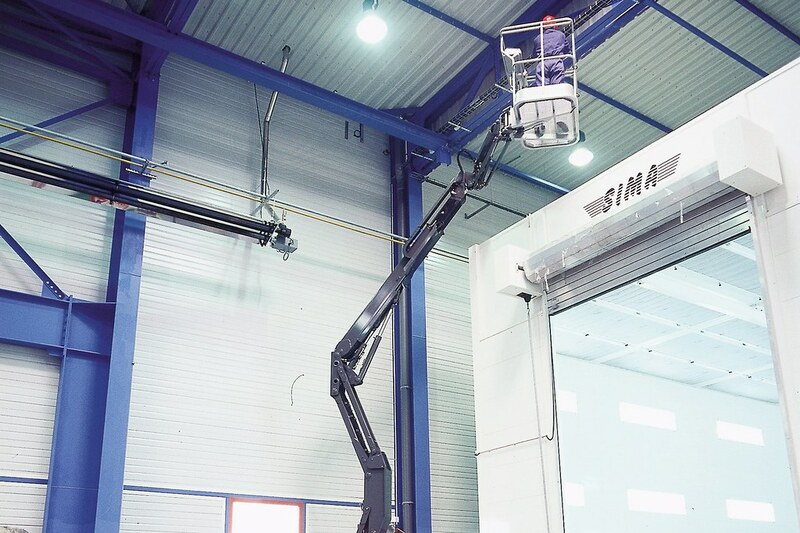 The overhang height of 4.77 m combined with the working offset of 7 m offers a range of possibilities to the operator. 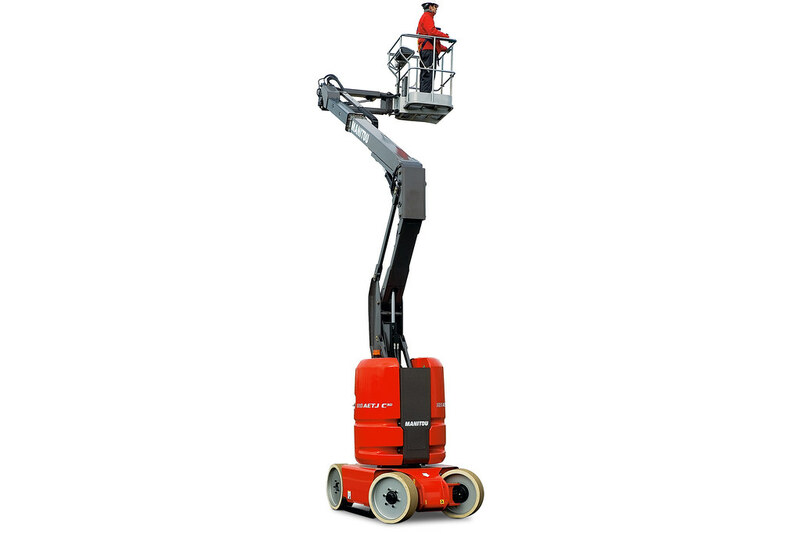 The narrow design of its chassis (1.2 m) and of its elevation structure provides a high level of manoeuvrability in confined and crowded spaces. 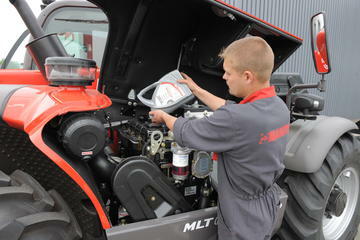 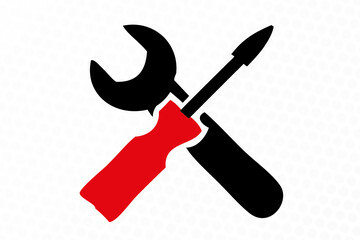 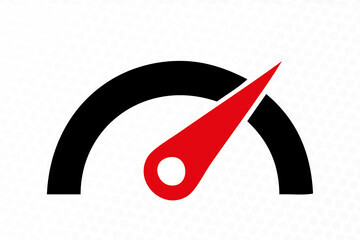 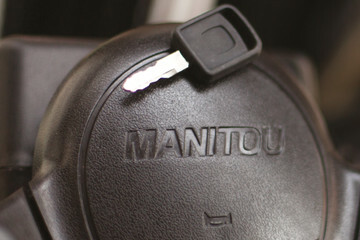 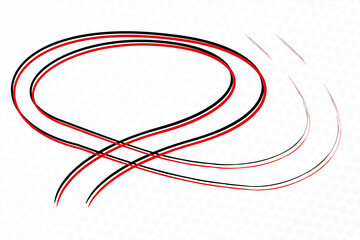 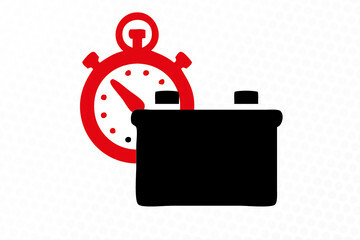 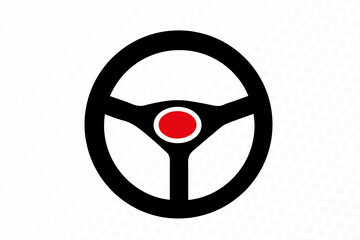 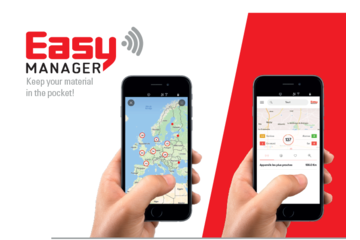 Its traction battery offered as standard guarantees a high number of cycles as well as good performance over time. 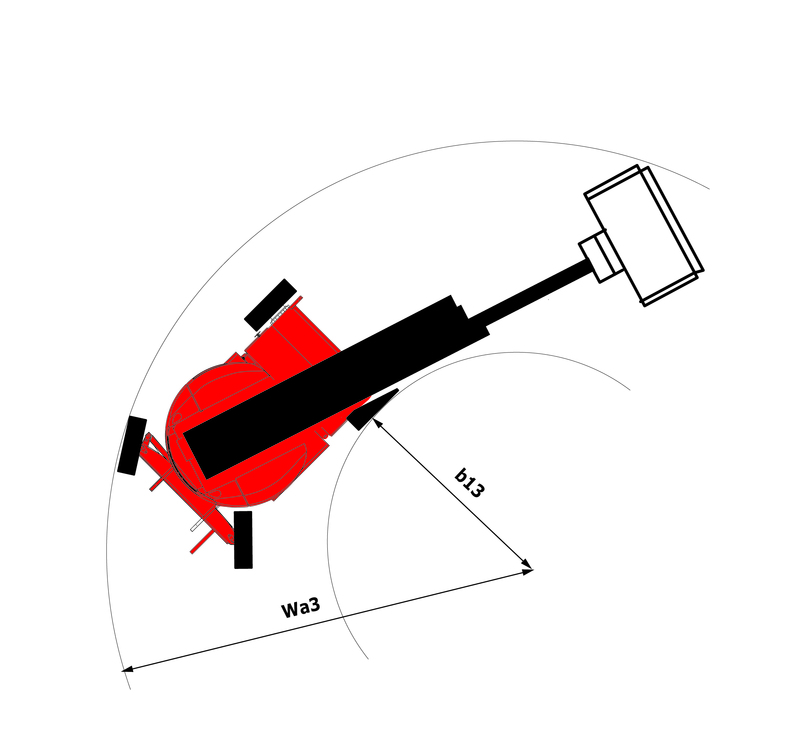 A 3D version of the pendular arm for the 120 AETJ-C is available (as an option) to increase accessibility in working areas. 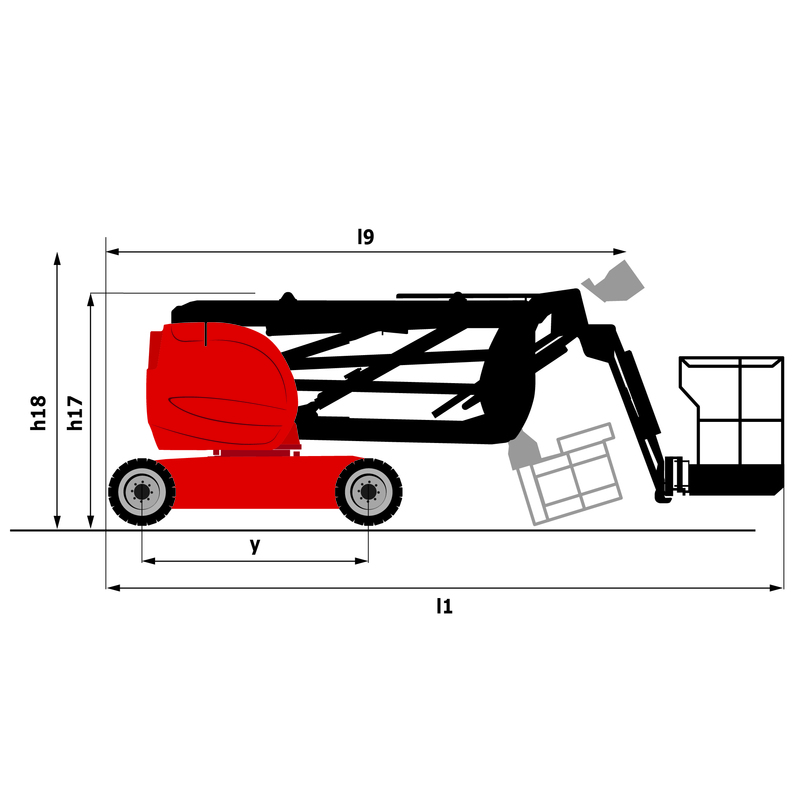 Lifting height 9.95 m 32'8"
Max reach 7 m 22'12"
Overall length 5.48 m 17'12"
Overall length (folded) 3.74 m 12'3"
Overall height (folded) 2.16 m 7'1"
Turning radius 3.34 m 10'12"
Ground clearance 0.1 m 0'4"